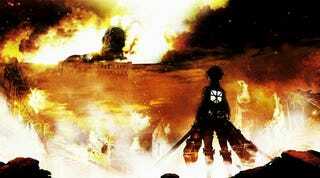 Today, Capcom announced an Attack on Titan game for Japanese arcades. That's about all we know! According to Inside, all the Osaka-based game maker showed this afternoon at the Japan Amusement Expo were title cards revealing the project. So, sadly no game footage. The screen says "Capcom" and "Attack on Titan" (進撃の巨人). And this card reads, "An arcade game project begins." Expect more details later this summer. No word yet whether or not this will get an international release.